Why shouldn’t you build a Chat Bot in a Weekend ? Chat Bots have taken over the world in a bat of an eye. We all have witnessed them. But do we know how much effort and time it takes to build one? It seems pretty easy on the surface. Technically, you could actually build a Chat Bot in a weekend with all the tools that are available. But here is why you shouldn’t. 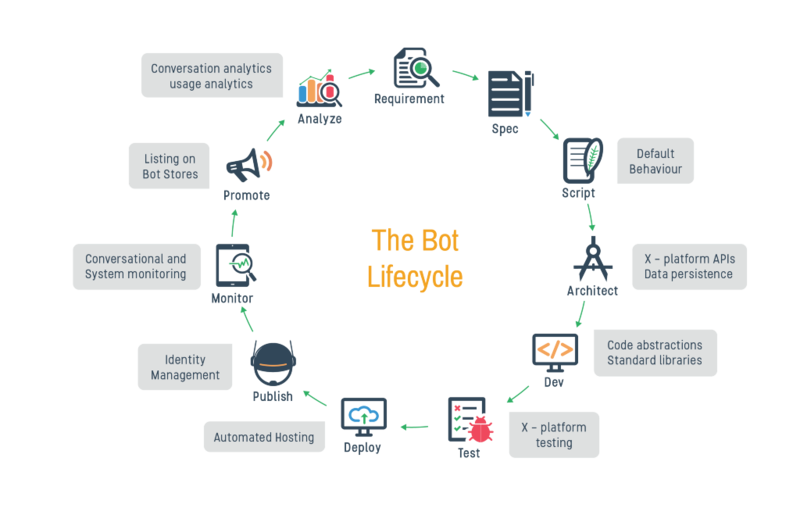 Similar to any other software development process, a Chat Bot also has a life cycle. The process of building a Chat Bot has to go under the following stages. Each stage in the life cycle has to go under certain processes, some of the important steps are explained below. These will prove you why building a successful bot within a weekend is improbable. 1. Creating a chat bot’s persona (botsonality) is not easy — cannot be done overnight!!! Building botsonality itself includes many steps (go through our previous post to know what). It needs a lot of research about both marketing and language selection. So, of course, this step, which is the first out of many, is going to cost you more than a weekend! 2. Building an Interesting conversation flow consumes time. After building up the persona of the bot, which aligns ideally with your business field, maintaining an interesting conversation flow takes a lot of effort. It should not bore the user, not mislead the user, should be relevant, on — point and easy to understand. Aforementioned takes a little more time because many different scenarios related to the chosen domain should be controlled. So, of course, this step takes a lot of time and more concentration plus creativity. Conversational bots make the cooperation between your chat bot and your group of onlookers more open, enabling you to comprehend your client’s needs better and gather more valuable information. 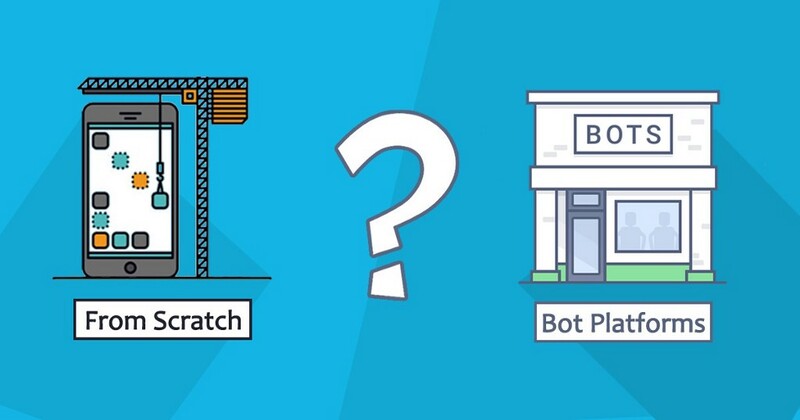 When it comes to building the bot, you have the option of either using the existing Bot platforms or coding from the scratch. If you choose to use Bot Platforms, this step is made rather easy. But, Let’s see what happens if your choice is building your bot by coding from scratch. Having defined the conversational flow of your bot, you need to put it together by building it up. This is where the code comes in to play. There are so many options out there to create a bot nowadays; you need to again research a bit on them, to find the best platform to build your bot, considering your experience, knowledge and resources. This may include learning about APIs, learn to code too for some people! So this step too takes a considerable period. Configuring is really connecting your bot with relevant platforms. This step comes after you build your bot. A bot itself alone won’t help your business. You should get it connected to messaging apps. This step does not require time as much as the other steps do. But choosing the best messaging platforms which suit the target market is a bit tricky. Testing is the most important phase in the process of building a bot, I would say. Though we build a bot planning so many scenarios while testing, we cannot know how much deviation from plans could happen. So testing is a phase where a lot of effort should be put in to. And testing the application with different beta users can help standardizing and refining the conversations to be more realistic and relevant. Once your chat bot is built to par with your requirements, it should be deployed and tested. Then comes the phase where you should monitor how the actual users are engaging with that. After observing the engagement of the potential customers, the chat bot should be continuously refined to serve the customers better. 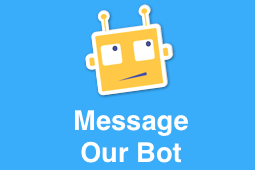 This means once you build a chat bot, you just cannot forget it if you are expecting it to bring in more sales/customers or give your customers a better experience. So the above five reasons are good enough to prove that building a Chat Bot is not something easy as it seems. It requires a considerable time to build a good Chat Bot which can be beneficial for your domain. Even if you manage to bypass some of these phases, it won’t be a successful Chat Bot. 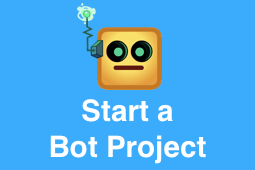 So do follow all the steps and build yourself the best Chat Bot. 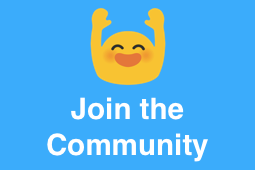 Happy Chat Bot building! We at pulsechat have spent a lot of time researching, analyzing, developing and testing pulsebot. Do visit us and try now for your dealership needs. Why shouldn’t you build a Chat Bot in a Weekend ? was originally published in Chatbot’s Life on Medium, where people are continuing the conversation by highlighting and responding to this story. Source: Why shouldn’t you build a Chat Bot in a Weekend ?